First lets get a few things cleared, 3G currently is not strong enough to support fast paced online multiplayer. Games like COD, Tekken, Marvel VS Capcom require sending data across the entire world within milliseconds, and 3G is not good enough to support online multiplayer. However some mobile companies are working on 4G, which is supposedly as fast as the average broadband connection. But thats another story completely as the PS Vita does not support 4G. 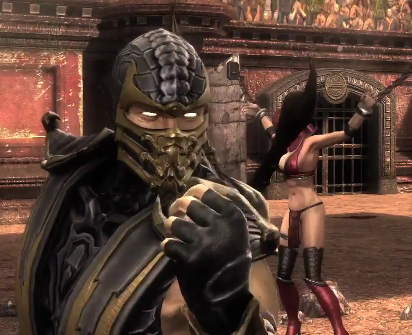 Bad news for everyone out there who was hoping to take their online Mortal Kombat experience out into the wild, as the game's creative director Ed Boon told us at a Vita event last Friday in Toronto that the game will not support 3G functionality for online play. When quizzed about the potential technical concessions that may need to be made in order to play a game like Mortal Kombat, which runs at 60 frames per second, over 3G his reply wasn't the one many prospective Vita 3G owners would have been hoping for. "You know what, Mortal Kombat runs at 60 frames per second and it's a very crisp game," he said. "The experience we had with 3G, unfortunately, wasn't one that we felt couldn't provide the type of experience people want to have. It's susceptible to external factors like where you are and what not. We really didn't want to present something to players that might be a bad experience, so we've restricted it just to WiFi and local connectivity." Let us know what you think of Mortal Kombat 3G in the comments below!